This post will pick up where it left off in part 1. Christianity did not only inherit and adopt the economic and political forms of the Roman empire but also the philosophical ones. The Greek philosophers like Plato and Aristotle had an undeniably huge impact on Christian development everywhere but particularly in the west. The roman Catholic church has referenced these teachers almost as much as their own scriptures in official writings from its earliest formation right up until today. This influence in Christian history brought with it the idea of God as more of a cosmic force than a tribal deity. The teachings of Plato and Socrates heavily influenced the way we understand God. The platonic teaching of forms can be explained, very simplistically like this: everything we see on earth is an imperfect reflection of something in heaven. They didn’t call it heaven, they called it the world of forms, but Christian theologians took it as heaven. So, by Platonic reasoning, every chair on earth is an imperfect representation of perfect chairness in the world of forms. Not just physical things but more ephemeral things as well. My love for my son is an imperfect reflection of the form of fatherly love. Math, and in particular geometry, was a big part of how this Greek school of thought came to this conclusion. Every round thing on earth, every apple and every orange, is an imperfect image of the perfect sphere which we know about only in our minds. And so heaven became this world of forms and God became the perfect form of love, righteousness, and power. This is how they understood the Hebrew scripture which says we are created in God’s image. With the influence of the academy on the church God became a very mathematical God. Like math, God was abstract, unchangeable, perfect, and while he certainly had an impact on how the earth works he was not physically present like he was for Abraham, Moses, or Solomon. Theology became a process of rational speculation and the religious leaders shifted their attention from sacrifices to Greek logic. One major philosophical theologian was Thomas Aquinas. Thomas Aquinas really solidified the logical argument for the necessary existence of God still used today in discussions between atheists and Christian apologists. Again, like I did with Plato, I am going to give you the extreme Cole’s notes version of his argument and necessarily butcher it in the process. Aquinas wrote volumes of theology, thousands of pages, and we don’t have time to go through it all now, nor do I have the expertise to do something like that. But here is the butchered version of Aquinas’ ontological argument for the existence of God. He starts with the assumption that everything which moves has been pushed. Unless another force comes along and gives something a nudge it will stay where it is. He also says that anything which exists came into existence because of another force. Things don’t simply happen on their own. He argued that if you trace this line of thinking back you end up needing to have what he calls an initial mover, or a first cause. He argues that God must be this first cause, the one who set the universe in motion. The one who took the proverbial pool cue and started all the balls rolling. This idea of God took off during the later middle ages and was really a big part of the way theology turned after the middle ages ended. One other thing that happened in the middle ages was a great disconnect between the clergy and the laity. Where the early theologians like Paul, or Tertullian, or Augustine had their works read out in public and were at least nominally familiar to the average Christian, the very scholarly and academic theology of the middle ages was pretty far removed from the common people. The average person was more concerned about being baptized and taking communion so they could get into heaven than they were about ontological arguments for God’s existence. In short, the ritual and temple worship of Solomon had been carried on, though drastically changed, into the cathedrals of medieval Europe except with a clear apocalyptic view. The apocalypticism of the middle ages was very different than that of the early church however. It was not about the salvation of the world in the future, it was about the salvation of individual souls in the after life. Paul’s teachings of the resurrection of the body were forgotten and people were more concerned about purging sin in purgatory so that they would qualify for a spot in Heaven after they died. This was the purpose of all religious action and thought and a legitimate worry for most Christians. With the protestant reformation came another radical and drastic change not only for the protestants but for the Catholics as well. The reformers wanted to see the gap between common cathedral worshippers and philosophical theologians lessened. They also wanted to break the tradition of papal authority, that is the idea that the Pope was God’s direct and perfect agent here on earth. So the protestant revolution gave rise to a new understanding of God. The two guiding principles were sola fide and sola scriptura. These Latin terms mean by faith alone and by scripture alone. We talked about faith vs works in one of our previous discussions. But today we are going to focus a little more on sola scriptura, by scripture alone. This ideology was really about authority. Until the reformation, the church in the West had it’s central authority in the pope, but that authority was more about running the business than about understanding God. The reformers wanted to take that authority away from the pope and place it in the Bible. In their minds Christianity was defined by the Bible alone. That same Greek philosophy which had, up until this point, been wide sweeping and synthesized what today are the separate schools of theology, astronomy, natural science, social science, ethics, music, and many other fields, was beginning to make some real progress and call into question many assumptions of Western culture. After the reformation and into the age of enlightenment science had really come into itself and was starting to attract the attention of the intellectual elites. Science had an ultimate authority which was the scientific method that allowed for a new and astonishingly successful way of making truth claims. All of a sudden theologians felt left out of intellectual debates with outdated and unverifiable truth claims. The protestant theologians wanted back into the intellectual court and so they created the doctrine of solar fide and set scripture as their truth maker. The Catholic counter reformation sought to address the issue by reaffirming their papal authority and putting a great deal of effort into the scholastic efforts of the papacy. Up until this point religious truth had been largely based in experience. People accepted religious to the based on what they felt, but now, religious truth needed verification from a higher authority, religious claims needed to be grounded in something authoritative. No longer could a preacher like Paul simply tell people what was up, if religion was going to keep up with science it needed truth makers. 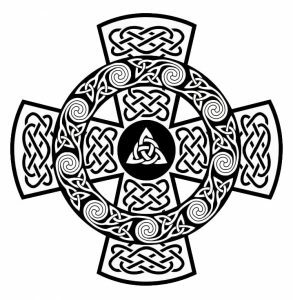 While the protestants had scripture and the Catholics had tradition a new group began to emerge known as deists. Deists were the pinnacle of the rational scientific movement, they believed that both scripture and tradition were outdated stories from less enlightened primitive times at best and flat out superstitious nonsense at worst. Deism essentially believes God to be a cosmic watchmaker who set the universe into motion and now sits back and watches it unfold. In the deist mind God does not answer prayer or intervene in history, God is completely uninvolved in the world and was merely the initial mover Thomas Aquinas spoke about in the middle ages and nothing more. Deism is a word we don’t here much anymore but it’s effects are still strongly felt today. Eventually deism led to atheism on the one hand and what some scholars call functional atheism on the other. I personally think deism is what most western Christians believe today. A vague concept that God is out there but doesn’t really have anything to do with daily life. A way of understanding the gospel as a set of moral and social instructions that we can base our lives off of. In response to the deist movement and the pluralistic religious ideas of the 18th and 19th centuries arose the fundamentalist movement. The fundamentalists saw deism as one step away from atheism and wanted to go back to what they considered to be the fundamental teachings of Christianity as taught in the Bible. They insisted on literal interpretation of the scriptures and were skeptical of science, philosophy, and religious pluralism. While their movement claimed to be true unadulterated Christianity it, like all other forms of religion, reflected their own biases and cultural assumptions. In the 20th century and right up until today there is another counter movement against fundamentalism. The United Church belongs to the Western liberal tradition which is essentially a rebuttal to fundamentalism which was a rebuttal against deism. Deism was born as a way to put aside the superstition of the past and had it’s roots in the protestant reformation which was, of course, a rebuttal against medieval Catholicism. Now, we’ve covered a lot of ground but think back to Moses’ God, who lived in a wooden box covered with gold and who required animal sacrifices, how much does that God look like our God today? How much can we think of Moses’ God as the same as the Western Christian God of the early middle ages? How much does the temple dwelling God of Solomon look like the God of the Protestant reformers? How does what we believe today fit into the history of Western Christian thought and what will the church of our children look like? Is there any consistent thread? What do you hope to see carried into the future and what are you willing to leave behind? Previous Post Who do we say God is? Next Post Was John the Baptist Elijah?